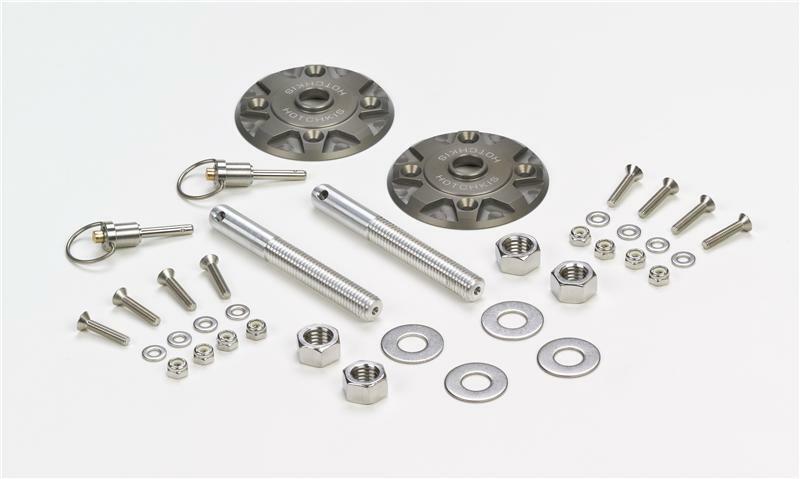 Replace those old, rusty chrome hood pins on your Muscle Car with a pair of Ultra Trick, CNC Machined Aluminum Hood Pins from Hotchkis Sport Suspension. The Hard Annodized Finish gives a Hi Tech look to your car. 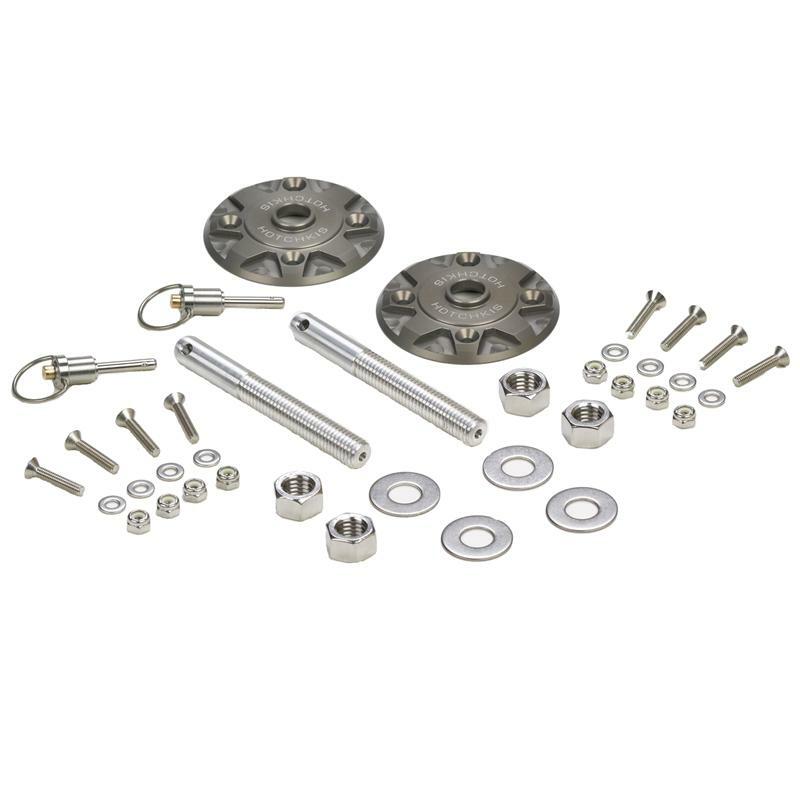 The kit comes complete with Aluminum Pin, Stainless Hardware, Hood Pin Plates, and a Trick Aluminum Quick Release Pin. The Universal design makes it a great update for any vehicle. The universal design allows this product to be used on virtually any vehicle and hood type. Some contoured hoods may not be able to mount.